I am so excited to welcome Jeanne Quigley to Escape With Dollycas!! Hi everyone! First I must thank Lori for hosting me today. 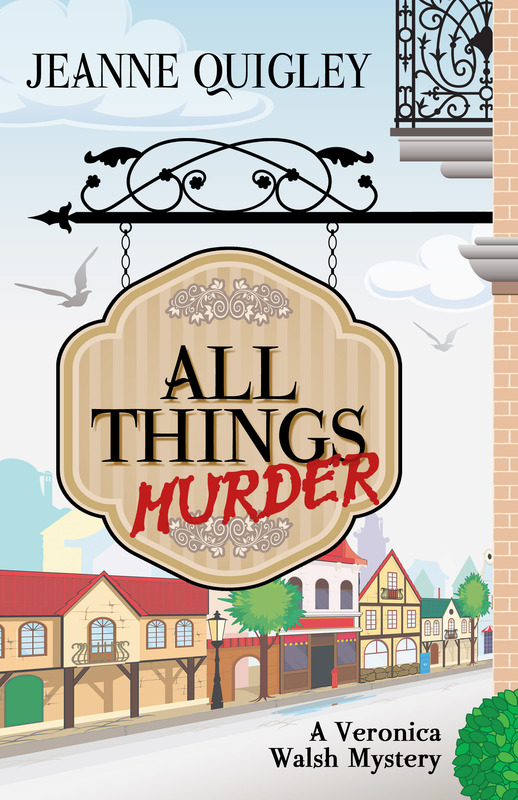 I’m grateful for this opportunity to introduce myself and my first cozy mystery, All Things Murder. Five Star Publishing releases All Things today, fulfilling my very long-held dream of being a published author. Writing has always been an escape for me; it started as a creative outlet to compensate for a routine job that did not offer much in the way of intellectual stimulation. Another escape for me has been Lake George, NY, in the Adirondacks. I have spent many vacations, both as a child and as an adult, at Lake George. It’s a beautiful, historic spot that has sparked my imagination for years. It was a no-brainer to set All Things Murder in a fictional Adirondack village called Barton. Barton represents my idyllic town. It is a small village with a population under 10,000. Everyone knows each other, but residents are respectful of each other’s privacy (more or less!). Barton is a walking village, with its economic center spanning just a few blocks. Many of the characters can walk to their place of employment, an elusive job perk I would enjoy very much. The four seasons in Barton are gems to behold, though the Adirondack winters can be a test of endurance. Bartonians have strong constitutions and can bear the snow and the frosty temperatures. They also like to celebrate the holidays through the year by outfitting their shop windows with colorful and festive decorations, holding parades down the main street (a green stripe is added for Saint Patrick’s Day), and traipsing through the pumpkin patch to pick just the right gourd at Halloween. And Barton has a low crime rate. Well, except for that one homicide that happens within its borders. As Barton serves as an escape within an escape, it is fitting that it is the cozy’s setting readers first see when they pick up the book. I am so pleased the talented artists at ENC Graphic Services depicted the heart of Barton on the book’s cover. That’s Orchard Street you see, the main gathering place of commerce, community, and friendship. When Veronica Walsh, All Things’ main protagonist/amateur sleuth, arrives in her hometown at the story’s start, she sighs with joy and declares Orchard as beautiful and dazzling as Broadway, Times Square, and Park Avenue. Veronica is home for respite and comfort; the soap opera she starred in for more than three decades has been canceled and she cannot find another acting role. Beauty isn’t the sole reason for Veronica’s Orchard Street admiration. She grew up in the appropriately named Orchard Street Books, the shop her parents opened in the 1960’s. The bookstore has been her family’s lifeblood, providing for their needs while also nurturing their spirits. Veronica’s mother, Nancy, still runs the shop. Nancy’s livelihood, as well as the fiscal health of all the shops on Orchard Street, is placed in danger when a local farmer agrees to sell his land to a mall developer. So much for Veronica’s peaceful visit; that hope is dashed within an hour of her arrival. The village’s businesses are quickly granted a reprieve when Veronica’s neighbor, powerful businesswoman Anna Langdon, tenders a better offer for the farmland. It is a self-serving move; Anna owns most of the retail buildings on Orchard. The ENC designers cleverly represented Anna on the cover with the shop sign graphic. Anna owns All Things, a very profitable boutique that anchors Orchard Street. With “Murder” written in blood on the sign, I’ll give you one guess as to who the murder victim is! Anna may have saved the day for some by literally buying the farm, but she’s irked more than a few villagers with her domineering personality. One of them helps Anna buy the proverbial farm. Anna’s murder notwithstanding, Barton is a lovely place to visit. Thousands of fictional tourists pass through the village each year. You are most welcome in Barton to spend a few days with Veronica and her friends. You can stroll along Orchard Street with Veronica and keep her company as she plays amateur sleuth to solve her neighbor’s murder. You’ll have fun! Emmy-winning actress Veronica Walsh is accustomed to role-playing. Over her thirty-two-year career on the soap opera Days and Nights, her character has been a businesswoman, wife (multiple times), mother, prison inmate and fugitive. None of that prepared her for the role of a real-life sleuth. When Veronica cannot land a new part after the soap’s cancellation, she returns to her Adirondack hometown for what she hopes is a temporary visit. No sooner does she arrive than Veronica finds herself in a swirl of turmoil, with her neighbor at the center. In the span of a few hours, powerful businesswoman Anna Langdon extends an invitation to Veronica to discuss a business proposal, ends a short romance with Veronica’s high school beau, threatens to evict one of her retail tenants and thwarts a deal to build a mall on local farmland. Veronica receives an unexpected welcome-home present when she finds Anna’s body the next morning, the cast-iron skillet used to kill her lying at her feet. Soon Veronica is chasing leads with the help of friend Mark Burke and her former co-star Alex Shelby. Twists straight from a soap script, including two leading men vying for her attention, entangle Veronica as she gathers clues. Will Veronica solve the case, or will the killer be as elusive as an acting job? And will she play the heroine or the damsel in distress? As a fan of cozy mysteries and soap operas, (I am an avid Days of Our Lives fan.) I loved this book! Where do soap stars go when their shows are cancelled? Several find new roles to play and several like Veronica Walsh come home to regroup and start a new path in their lives. In Veronica’s case finding her neighbor dead puts a huge bump in her new path and it can derail her or she can use her years of soap experience and find the person responsible for Anna Langdon’s untimely demise. Jeanne Quigley has created a great amateur sleuth in Veronica (Ronnie) Walsh and surrounding her with a great group of supporting characters. Having her former co-star come to visit was a brilliant idea. Who could create a better diversion while Ronnie tries to figure out who got rid of a woman so many people wanted dead? An actor that can make woman swoon and play any part Ronnie needs him play. I can’t believe this is the author’s debut novel. She has definitely found her cozy voice and is a new author to keep our eyes on. I think this is going to be a very successful series and I can’t wait for the next installment. Thanks to the author I have 2 ARC copies to give away! 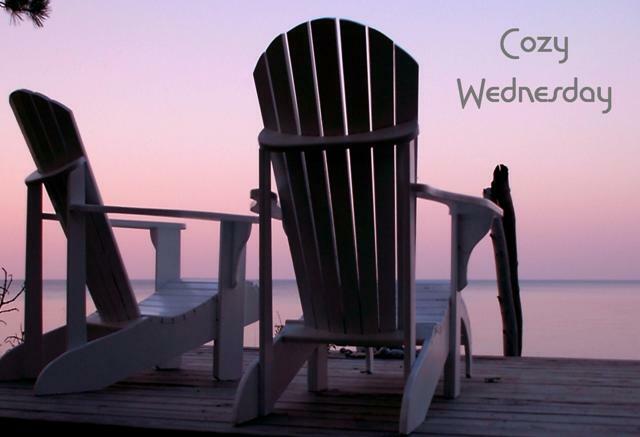 Leave a comment for Jeanne for 5 Bonus Entries ! Congratulations on your first cozy mystery! Sounds like a great book! Looking forward to reading it! I want to read this book because it turns her life into a real life soap opera. Hi greeniejoey. It’s good to have a bit of soapy drama, isn’t it? ! Love trying new cozy series. Sounds like a fun read. Hi, Linda. I certainly had fun writing All Things. Thanks! A debut… very exciting. It is always easier when I discover an author in the beginning. No playing catch up! Hi, lavendersbluegreen. I’m playing catch up now on a couple of series and have ended up not reading them in order. The upside is I’m not waiting for the next book- I have plenty of reading to keep me busy! I always like reading first books in a series. This sounds like a great beginning to a hopefully long series. Sounds like a great book. I can’t wait to read it. Love new series. Hi, Pamela. I hope you enjoy All Things Murder! I’m going to look for this right now! What a fun read. Thank you, Gram! All Things is a light, fun read for the summer. Enjoy! Looks great, hope to get a chance to read it! Thanks, Lisa, and good luck in the giveaway! Sounds like a great book to read. I used to be a fan of Days of our Lives also. Hi, Donna. I was a big Days fan in college, during the heyday of Kimberly & Shane and Kayla & Patch. Great memories! Congratulations. This cozy sounds captivating. Thanks so much, Sharon! Have a great day. Good guest post! I love reading how authors feel about their first experiences through the publishing process. 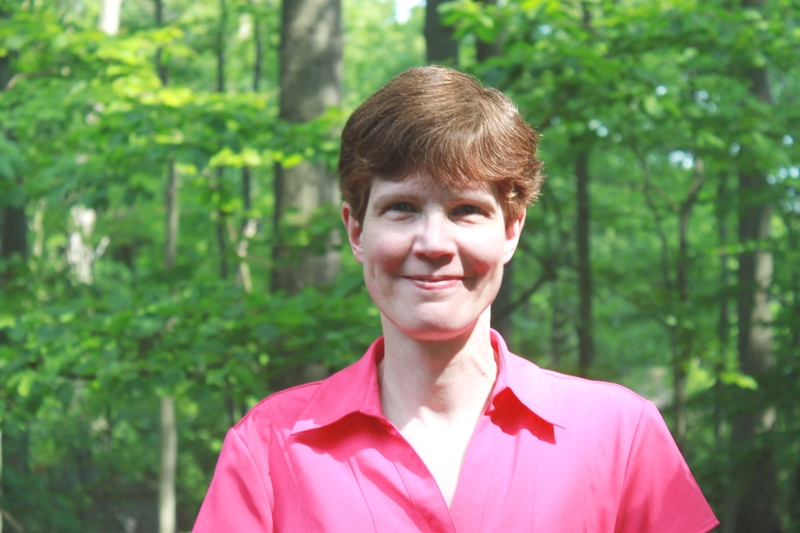 All Things Murder sounds just like my kind of cozy mystery and I like the fact that the heroine is a little older – as much as we would like to we can’t stay 25 forever…Good Luck to Jeanne with her new book and writing career! Thank you, Maria, for your kind words. We all have a Veronica or two in our lives, don’t we? Great women who are “a little older” who teach us age is just a number and that more birthdays just make us better! Sounds as if this is just the beginning of a great series. I am eager to get started reading it. Hi, Barbara, and thank you! I remember watching the soaps and doing needlework while my little ones were napping. Always amazed me how they wrote people out then managed to bring them back from the dead somewhere when they came back to the show. Remember one character was blown up in an airplane crash. Then his”twin” was miraculously found somewhere. Hi, Ronna. I always loved those “twins.” Soap writers earn every penny of their salaries bringing characters back from the supposed dead. Thank you, Rita! I hope you’re having a good Wednesday. It definitely sounds like a soap opera. This book would be a fun read with all of the great characters. Thank you, Anita. I hope you have a great evening, and enjoy the book! Thank you, Sherry! Soaps do have a cozy flair to them, don’t they? Thank you, Lori! I hope you enjoy All Things. Your new book sounds like a fun read. Congratulations! Thank you so much, Melanie! I hope you’re having a wonderful weekend. Sounds like a great book. I can’t wait to read it!!! I hope you have a great Memorial Day!!! I would love to read because my favorite are murders and mysteries. This sounds like a book I would enjoy. I hope I win. I love cozy mysteries and this sounds fascinating. Love the protagonist! Looks like a fun new series! congrats & good luck to Jeanne!! !